Address: 8000 Székesfehérvár, Fő utca 10. Welcome to the website of Hotel Magyar Király****! The oldest and yet newest hotel of Székesfehérvár has opened its gates. 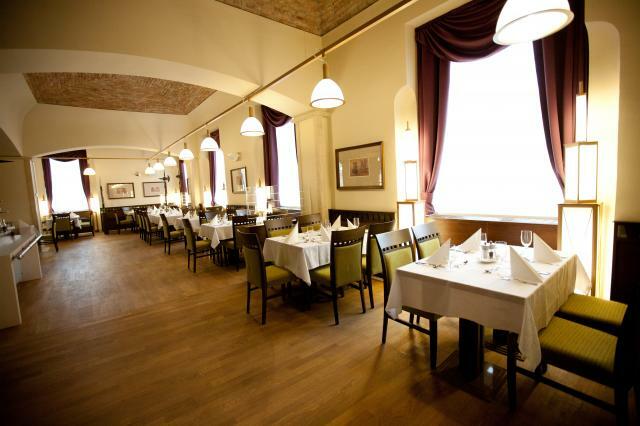 The four star Hotel Magyar Király**** expects its guests in the nearly 200 year old, renovated, majestic monument building. The interior design of the Hotel is striving for an authentic representation in a modern way. The interior shows the harmony of stone, wood, metal and glass, creating an exclusively elegant yet modern appearance. 79 rooms , 4 suites, a conference room suitable for seating nearly 400 people, a three-section show room, an ornate throne-room to serve the exclusively important events, a drink bar, a winery in the cellar, wellness services, an underground parking lot and an intimate restaurant await the “royal” guests. Besides the diversity of conference and show rooms, the forte of the four star Hotel is in the way it utilizes the modern technology, the uniqueness of its gastronomy and the hospitality of the staff. We are looking forward to welcome you among our guests in the future too. Hotel Magyar Király**** gives an experience for its guests, that they never had before: we await our guests in high-standard, stylishly furnished, beautiful rooms. You can choose from a range of 14 single bed rooms, 65 double bed rooms, and 4 exclusive apartments. Our rooms are non-smoking, equipped with broadband internet connection, direct landline phone, LCD television, air conditioning, a minibar filled with cold beverages, a safe and the possibility to make tea or coffee just further improve your comfort. The success of an event depends on the perfect organization, and on the selection of the perfect location. Let it be a conference, or a wedding, or an exclusive dinner, Hotel Magyar Király**** is your partner to perfectly organize any events. You can find any and all the technical equipments that might be necessary for your event. In order to be successful in getting through the event, we are at your service during the organizing period, mending your fences. 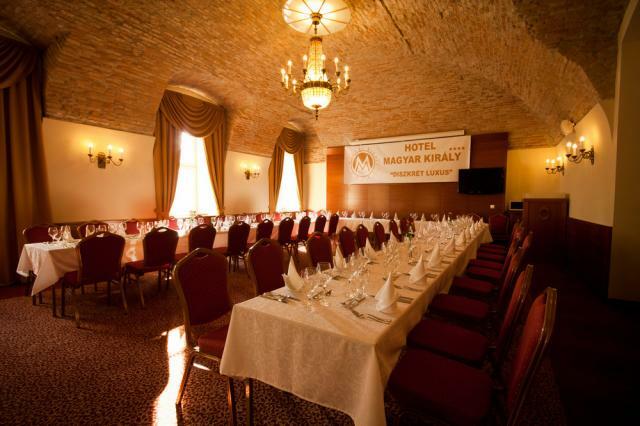 The equipment of our hotel and the professionalism of our colleagues make Hotel Magyar Király**** the ideal event location both in the city and in the region. Let us introduce our halls! Balls, receptions, banquets, weddings, conferences, none of them are a problem for the ground floor Dome Hall. The clean-cut inner facings, and its glass dome give the ground floor ball room its elegance, and make it suitable for exclusive events. If you are looking for an impeccable conference location in an elegant hotel, we offer you the 250 person hall of the hotel, which can be separated into 3 sections with mobile walls within a few minutes. 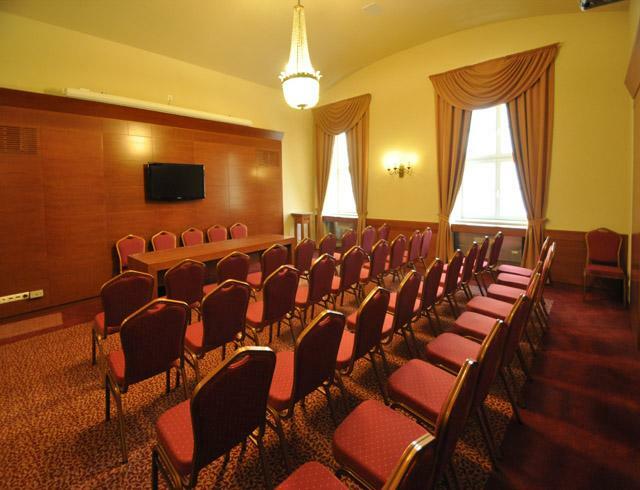 The Szent István Hall(s) are perfect locations for both smaller and bigger conferences too. 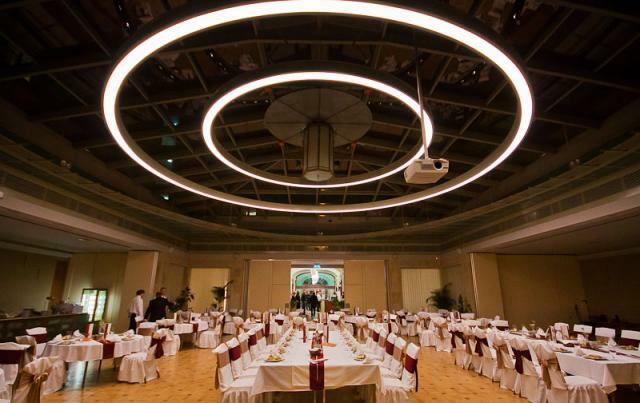 The ornament of the hotel is the unique, royally magnificent Throne-room, in which even an 80 person event can be easily organized. We offer this room for truly special occasions, let it be a standing buffet reception, a banquet or a wedding. 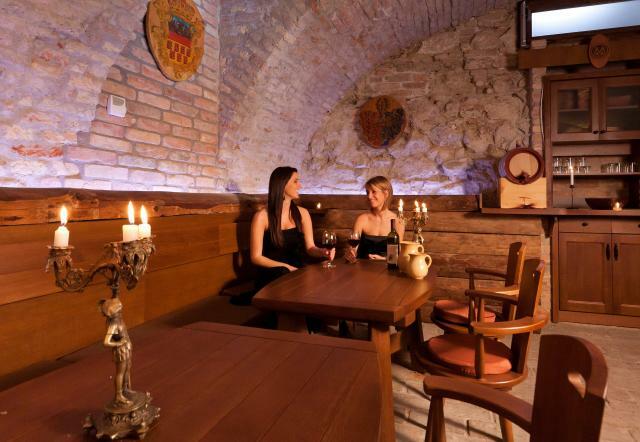 The quite out-of-the-common, 40 square meter winery can be a special location for team building trainings, informal gatherings, or even for a simple chat; wine-, and pálinka-tasting events can also be organized here. 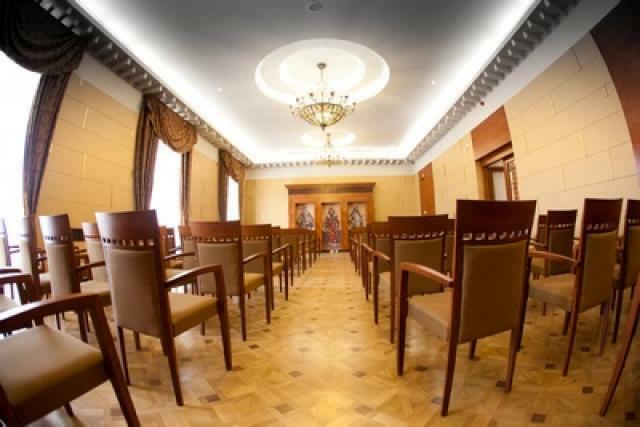 Hotel Magyar Király**** offers a number of opportunities for organizing and implementing different scale and theme conferences. Besides the location and the catering, we offer recreation too: every company can find the right team building and entertainment program for themselves in our range of training offers.